Great to meet up with European Commission President Jean-Claude Juncker in Strasbourg this week. I asked him how Ireland would be protected in the Brexit negotiations going forward and what measures would be taken to ensure that we will not be dealt with last until the final deal is done. He reaffirmed that the issue of Ireland would not be last but in fact would be first. It is vital for Ireland, Britain and the European Union that the best outcomes for all sides are achieved. President Juncker’s commitment is a reassurance that the European Union stands firmly alongside the interests of our country and our shared island. 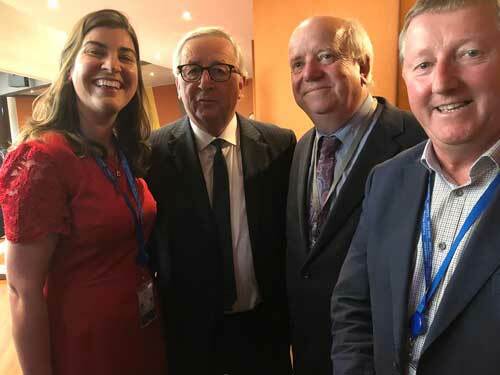 I met the President at this week’s Council of Europe meeting in the company of Senator Maura Hopkins and Senator Joe O’Reilly.